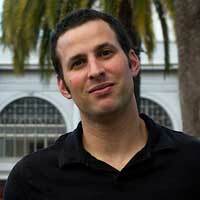 What do Popeye, the Santa Monica Pier, and seafood platters have in common? The Albright was able to weave these threads together in 2013 when Yunnie Kim Morena and husband Greg took over for her parents, who previously ran S.M. Pier Seafood at the same address starting in 1977. The Albright is named for a sailor’s knot that binds multiple generations. People now gather around picnic tables for lobster rolls and fish and chips. Still, it’s their deluxe seafood platter that truly stands out. They blanket an ice bed with sweet tiger shrimp, split King crab legs, large green New Zealand mussels, tiny clams briny Kumiai oysters from Baja, and Peruvian sea scallops on the half-shell. Each platter comes with squeezable lemons, cocktail sauce, creamy horseradish sauce, and shallot-filled mignonette. Dress the seafood to your liking. At first, Westside Rentals founder Mark Verge was a force in real estate. Now, On The Verge Hospitality has become a beast in the restaurant world, running four Santa Monica restaurants. He’s stocked Montana Avenue with two personal establishments. Verge named Margo’s for his mother and Art’s Table for his father. Both parents, who were married for 61 years, are immortalized in a mural that includes a Route 66 sign and says, “The good old days are now.” After 4 p.m., their night menu includes a pasta dish that helps confirm the aforementioned adage. Montana & Ocean linguine is tossed with spicy sauce crafted with peppers, roasted tomatoes, basil, and garlic. A fresh seafood array joins the fray, including chunks of lobster, salmon, sea bass, and few plump Prince Edward Island mussels. Fresh basil and crispy calamari coated with a light hand help to cap the bowl. 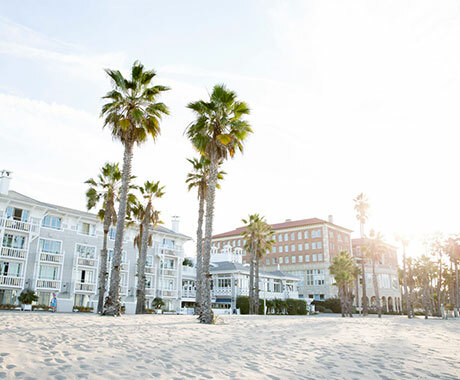 Casa del Mar is a luxury hotel that sits at an interesting crossroads of Santa Monica, facing the beach and pier, right near the cyclists and runners on oceanfront walk, and within clear view of sunbathers and acrobats. Seafood-focused Catch restaurant, and neighboring Terrazza Lounge, contiguous spaces with sea blue accents, provide prized views of all the action. 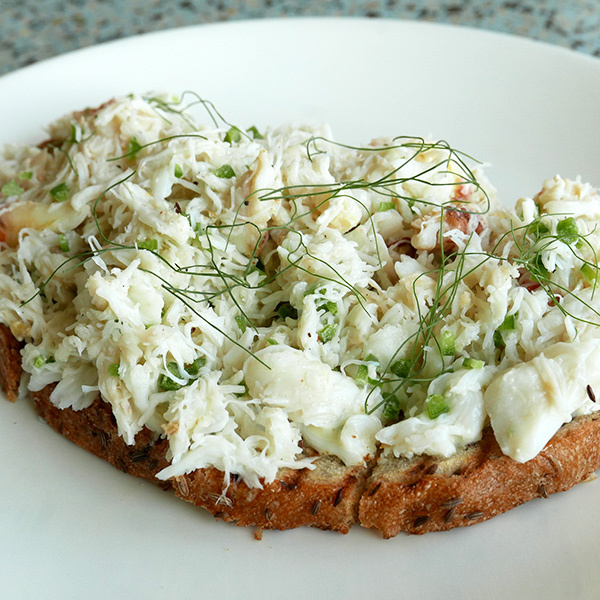 Their Dungeness crab crostini honors one of the West Coast’s culinary treasures. Grilled rye bread is coated with light layer of aioli, piled with sweet pulled crab folded with punchy minced jalapeno, and dressed with strands of dill. Each oversized crostini gets cut into four pieces, but good luck finding anyone willing to share. Brian Malarkey, one of San Diego’s biggest culinary stars, expanded Herringbone to Santa Monica in 2015 with his Hakkasan Group partners. The industrial chic space features glass and steel bones, living walls, and kooky nautical design elements like blowfish traps and a Beluga skeleton over the bar. 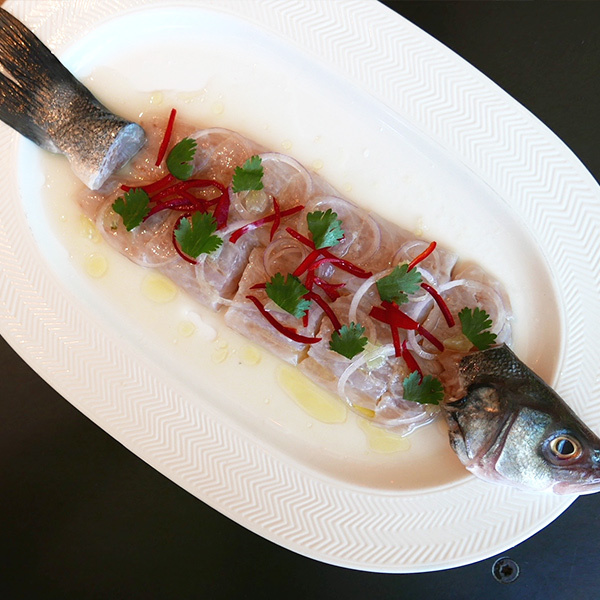 Whole fish ceviche is one of the highlights of Herringbone’s “fish meats field” concept, and certainly the most dramatic. Firm, opaque tiles of branzino, a type of bass from the Mediterranean, are cured with lime juice, onion, cilantro, and Fresno chile and presented “whole,” with the head and tail intact, acting as bookends. A restaurant called The Lobster has overlooked the entrance to the Santa Monica Pier on and off since 1923, including a triumphant return in 1999. Executive chef Collin Crannell continues to turn out premium fresh seafood from this classy, glass-sided perch. 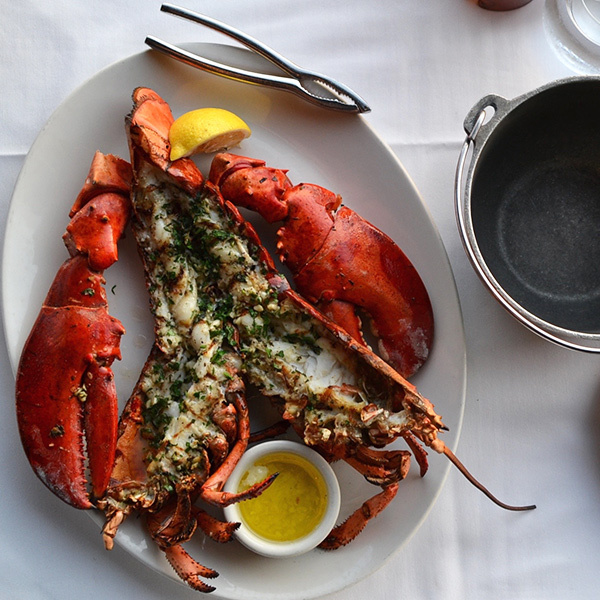 Of course, lobster is the restaurant’s signature ingredient, which is available steamed, butter poached, in mashed potatoes, or served over pasta. Still, grilled lobster is The Lobster’s most impressive preparation. A three-pound lobster (or more, if you like) is split, grilled, and dressed with fresh herbs, lemon, and garlic butter. Each red beast from the abyss comes with a bib and cracker, since eating this lobster is bound to get messy. 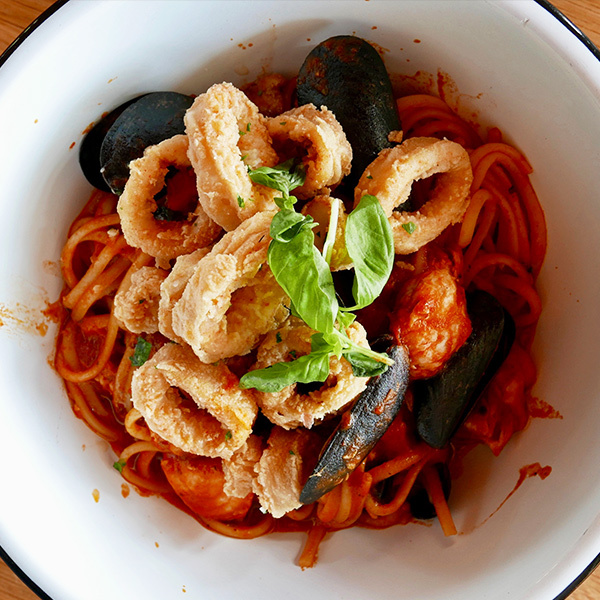 The Cigliano family started on the Santa Monica Pier in 1939 and eventually moved to Wilshire Boulevard in 2009, where they now run a grand seafood market and café. 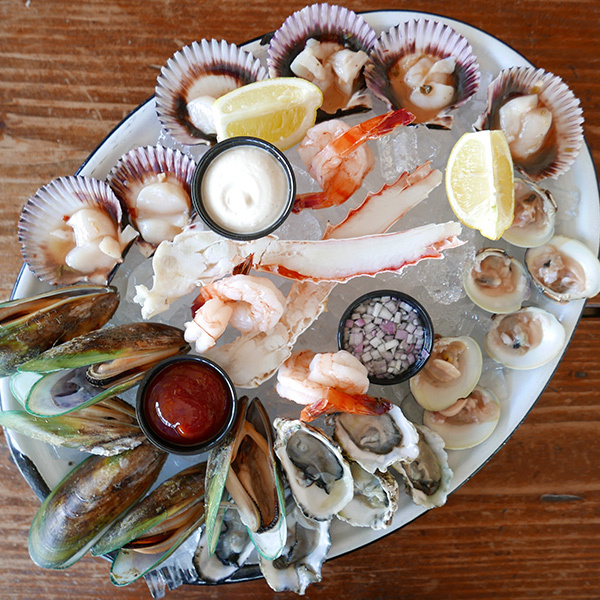 Santa Monica Seafood stocks a 60-foot, U-shaped case with fresh seafood from all over the world, some of which makes its way to the raw bar and marble tables. They typically source swordfish from either Hawaii or Costa Rica. 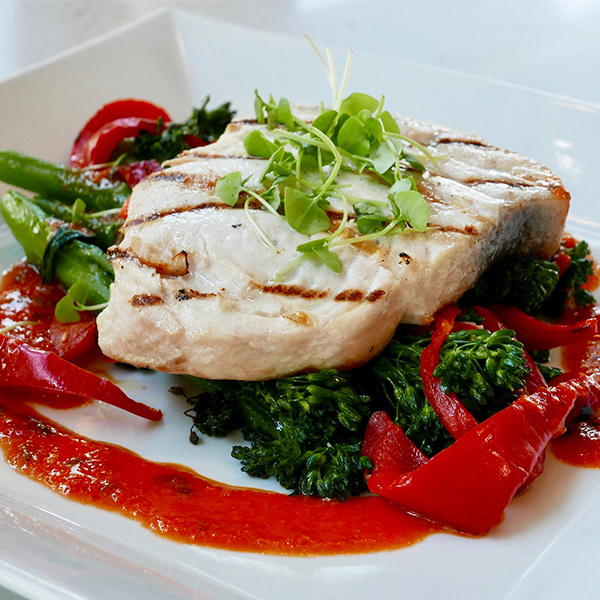 A firm, flaky, snow-white fillet is grilled and served with roasted garlic broccolini, red bell pepper and vibrant tomato basil vinaigrette. Micro arugula is the finishing touch. Sweetfin is the best concept in poké’s new guard, with flavorful raw fish bowls and style to spare. Sweetfin Poké first launched in Santa Monica and continues to draw ravenous mobs. “Top Chef” veteran Dakota Weiss teamed with partners Seth Cohen, Alan Nathan, and Brett Nestadt, teaming a colorful, geometric design with a fun mix-and-match menu. Prescribed combos include classic Hawaiian-style tuna and a spicy yuzu salmon bowl with piquant yuzu kosho, edamame, and lime. Sweetfin also prepares seasonal bowls. 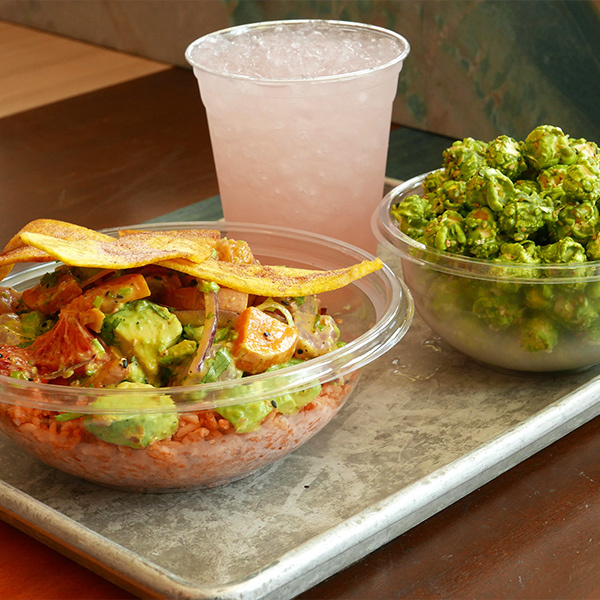 Summertime passion fruit mojo albacore joined creamy avocado, honeynut squash, blood orange, red onion, cilantro, and manzano pepper over Cuban rice with well-seasoned plantain chips. You’d never find poké quite like this in Honolulu, but Dakota Weiss makes this dish work in L.A , and Sweetfin Poké makes this Santa Monica seafood a success here. Then again, you’d also never find matcha white chocolate popcorn by the register in Hawaii either, but we’ll take two bags. 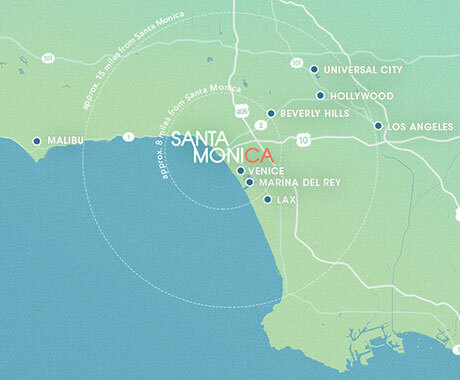 The Santa Monica outpost of the vaunted downtown restaurant from King’s Seafood Company rests across from Palisades Park, and if you scan the horizon, the Pacific Ocean. Studying Water Grill’s wall-mounted ship diagrams won’t lead you to buried treasure, but the menu will lead you to the Ross Sea. That chilly body of water near Antarctica is where the restaurant sources their high-quality Chilean sea bass. 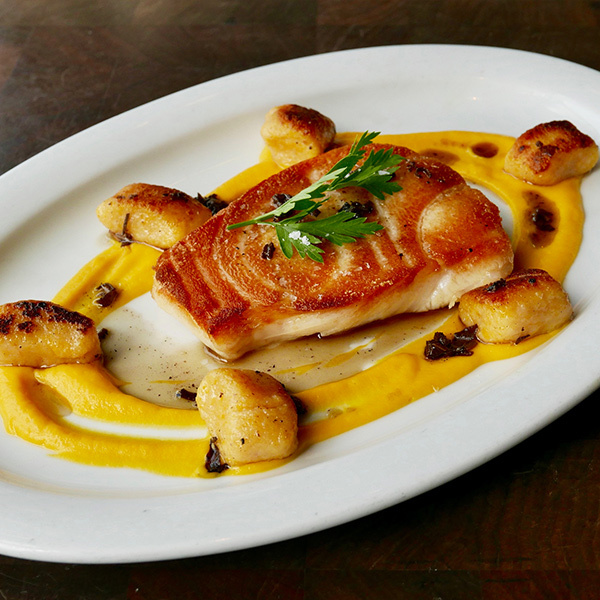 A rich, flaky, crisp-coated fillet is pan-seared in brown butter and served over butternut squash puree with seared butternut squash gnocchi and sage brown butter.